You’re sure to impress at your next dinner party when you use this Dry Salad Servers Set. 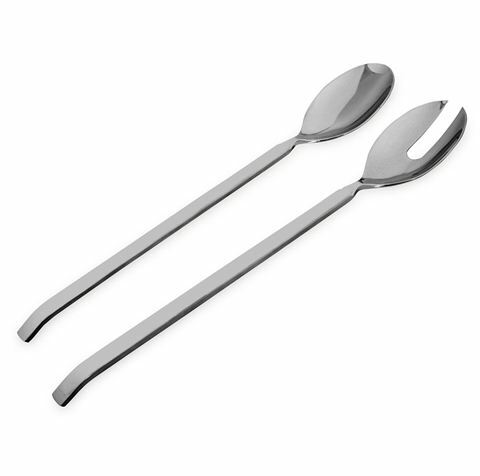 Designed by Achille Castiglioni, this set features a salad spoon and a salad fork, both crafted from 18/10 stainless steel. Both pieces feature an incredibly sleek design that you're bound to love - make sure you add them to your dinner table. Designed in Italy by Achille Castiglioni. The handle of each server has a brushed, satin finish, while the heads of each piece have a shiny, polished finish. Salad Spoon - 31cm (l). Salad Fork - 31cm (l).